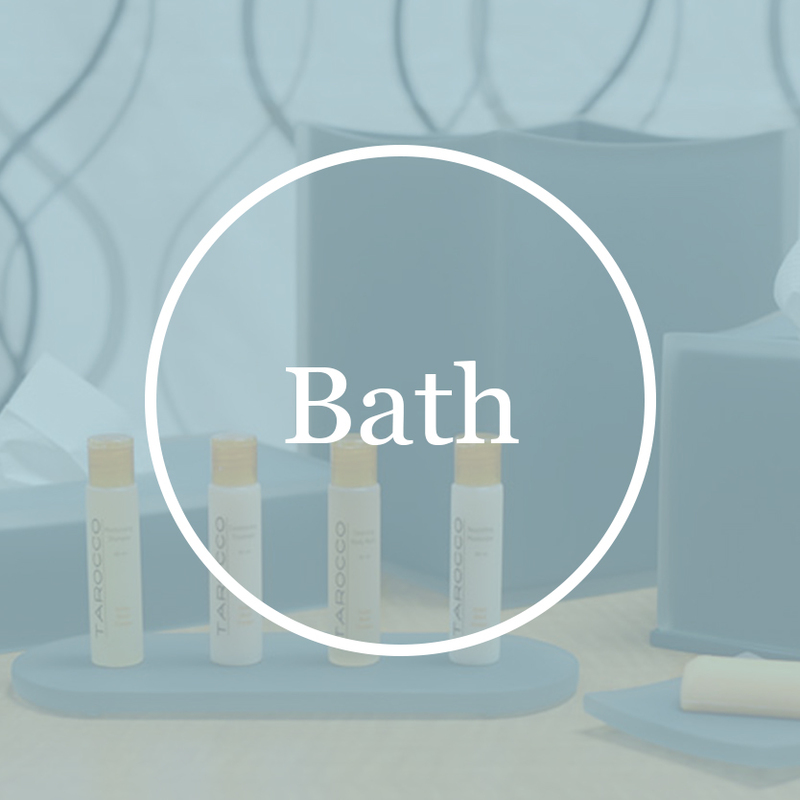 We offer a variety of different Bath Collections, Room Accessories, Shower Curtains, Trays and Barware. Choose from the categories below to begin exploring or scroll down to see more information about each section. We have hand-selected collections of the highest quality and design to compliment the unique atmosphere of your hotel. Choose from classic materials such as Metal, Ceramic, Mixed, Resin, and Natural. Add a unique charm to your rooms with our wide selection of Room Ensembles, Desk and Table Top Accessories, and Pens. Some items can be customized to add an even more personal touch. 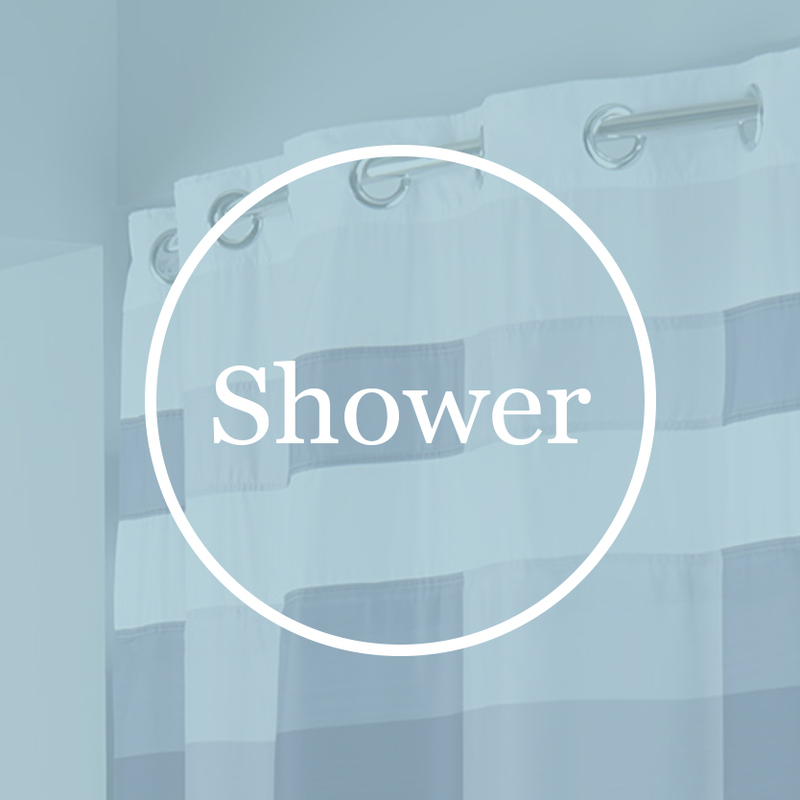 Whether you need Hooked or Hookless curtains we have many luxurious patterns and colors to compliment your bathroom decor. 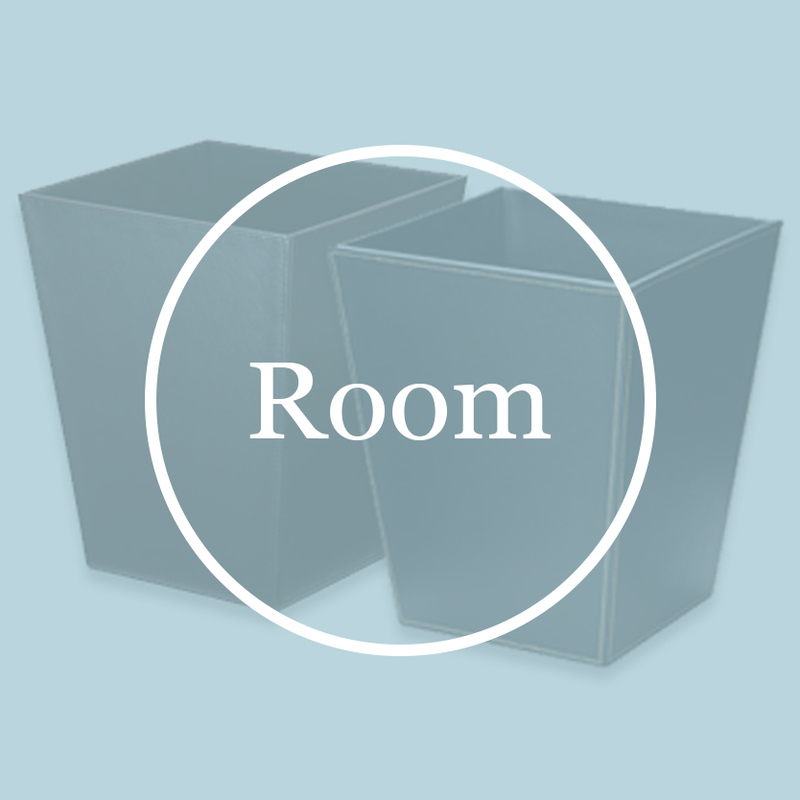 Choose from materials such as Vinyl, Nylon, Fabric and curtains made from recycled REPET. 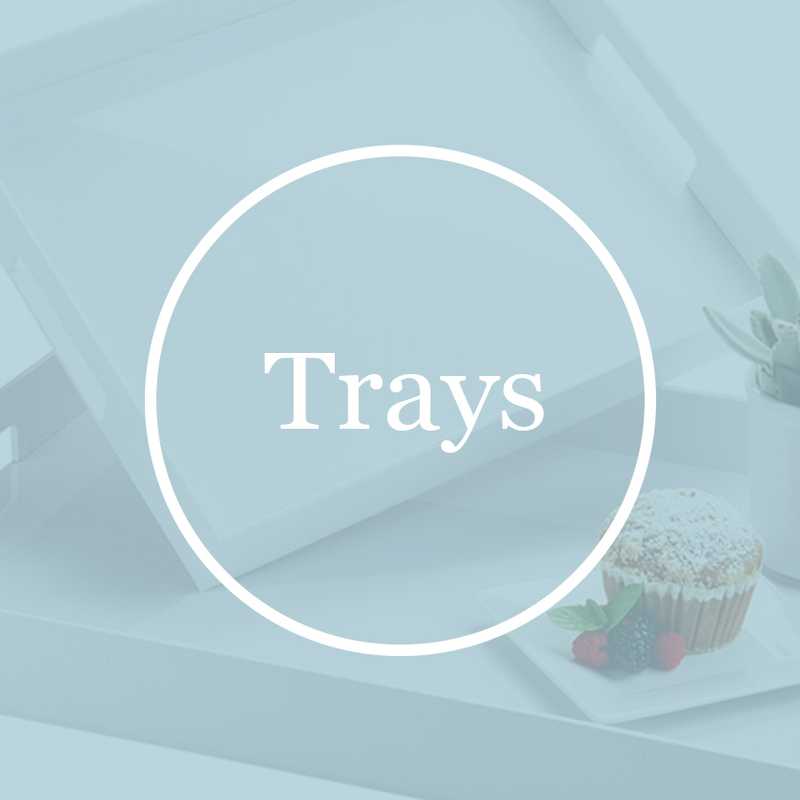 Create an elegant display with one of our stylish trays. 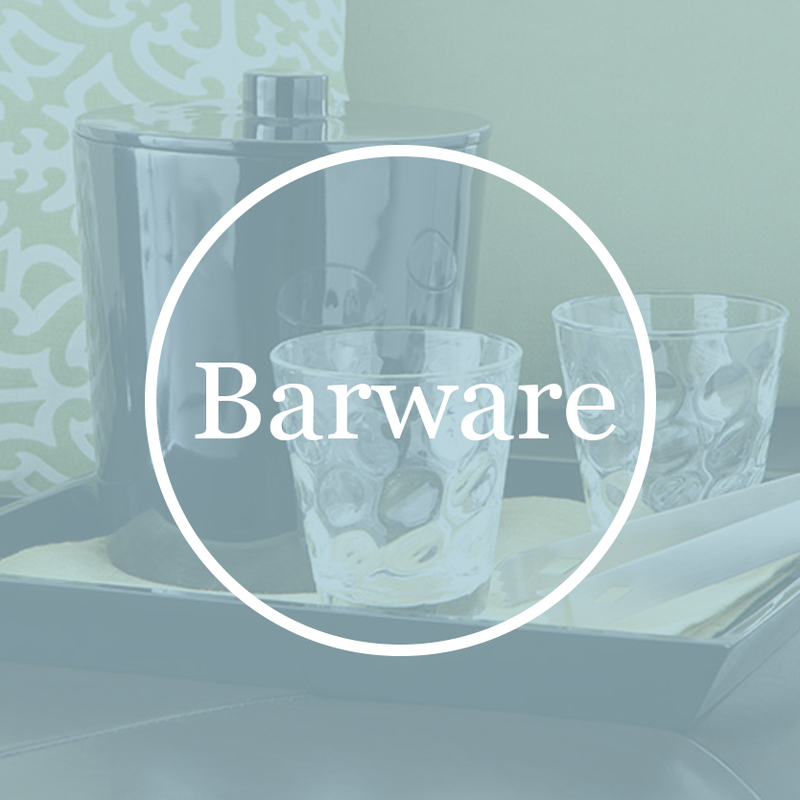 We offer amenity sizes and larger sizes for room service all made in either wood, melamine, metal, leatherette, ceramic, acrylic or plastic. We offer luxurious ice buckets for those special moments when your guests need a chilled bottle of champagne. Choose from leatherette, stainless steel, mylar, and resin pieces to compliment any atmosphere.